Sterling silver earring studs with Celtic trinity symbolsl,trinity knot earrings, the silver is solid 925. 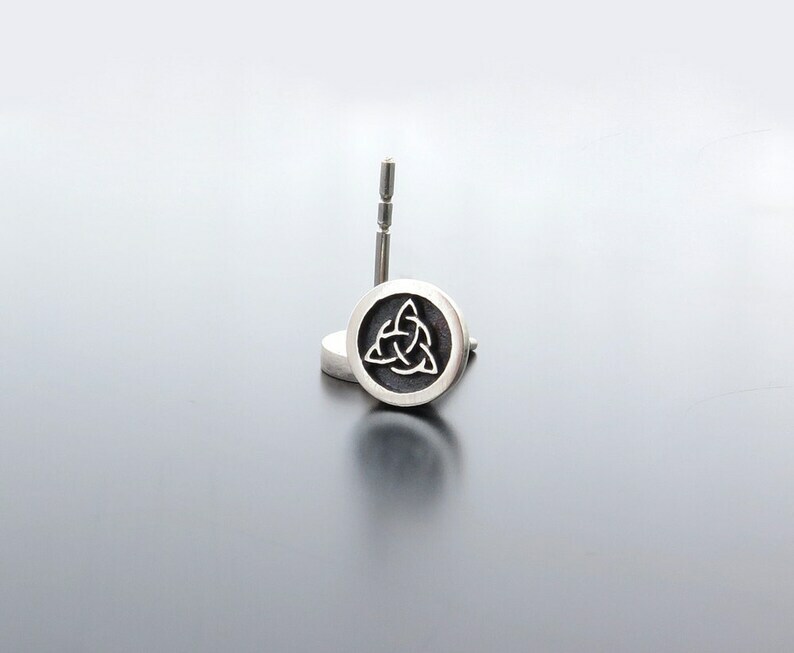 Tiny and special silver earring posts with Triquetra. * No matter where you go, it's important that you feel inside. 💝 This listing is for pair of studs with Celtic trinity symbols . This is the popular jewish symbol. Great and stylish look you can wear anytime with different style of clothes.